It sounds simple to you because you know exactly what your business is. For example, you are selling a new product, you are offering a new service or you are expanding your current business. Simple. Right? Unfortunately not so simple. Being unable to clearly identify what they are selling. Some owners get so caught up in jargon that it becomes too technical for the customer to understand. Not knowing their target market. If you understand who your ideal customer is, then you should know everything about that customer – what they are looking for and what they are buying. You can then develop a message that they can relate to, a message that resonates with them. Not having a clear and compelling message about what you are selling will have a huge impact on your ability to find customers and find lenders to invest in your company. When you create a clear message it establishes the foundation for your business going forward. Your customers will understand what you are selling and what you are known for. Everyone will understand ‘what you are doing’ and ‘why you are doing it’. So how do you develop this message? Who your target market is? Why should they believe in you? Plan2Profit writes business plans for entrepreneurs looking for funding. Plan2Profit are just not business plan writers. They are business plan developers. Plan2Profit have owned and operated other businesses. So, come up with your positioning statement and write it down. By writing it down you will come up with a succinct and consistent way to describe exactly what your business is and what it offers. It should just roll off your tongue. Take the time to clarify what you are selling. It is not easy, but, once you have a statement that you feel good about, test it. Run it by some of your friends and most importantly your potential customers. Why wouldn’t you do this? At Plan2Profit, every day we work with entrepreneurs to help make their dreams come true. 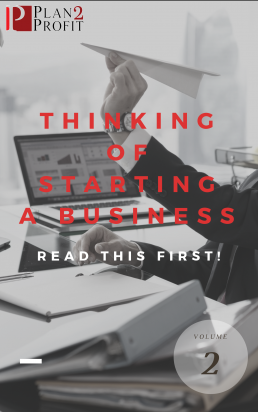 We are more than business plan writers we are business developers and work with people just like you to take an idea and build it into a viable and sustainable business. You are dedicating everything you have to your new business; so take your time to clarify what your product or service will offer to your customers. “We sell comfy but chic casual apparel for women. For all occasions, we will have you covered at no expense”. Every start-up or existing business needs to do this exercise. You need to connect with your customers so they take their time to want to learn more about you and ultimately buy from you and your company. Communicating who you are and why people should buy from you is just as important as building your business. To help you create your brand message, you can download for free chapter one of Pia Silva’s book “Badass Your Brand” and the interview that she gives to her clients to help them determine their brand message.